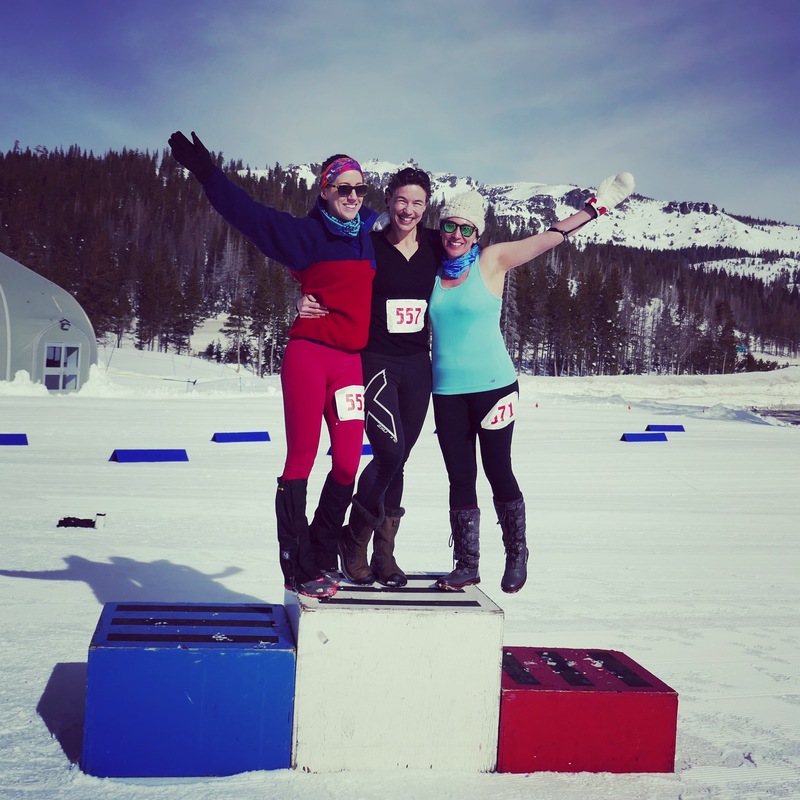 It was a brisk but sunny 20° at the start of the Racing Gnome 5k Snowshoe Run. I intentionally started with no gloves, no hat, only a light wool shirt, and a thin waterproof jacket. Less than half way through the race I was already overheating. 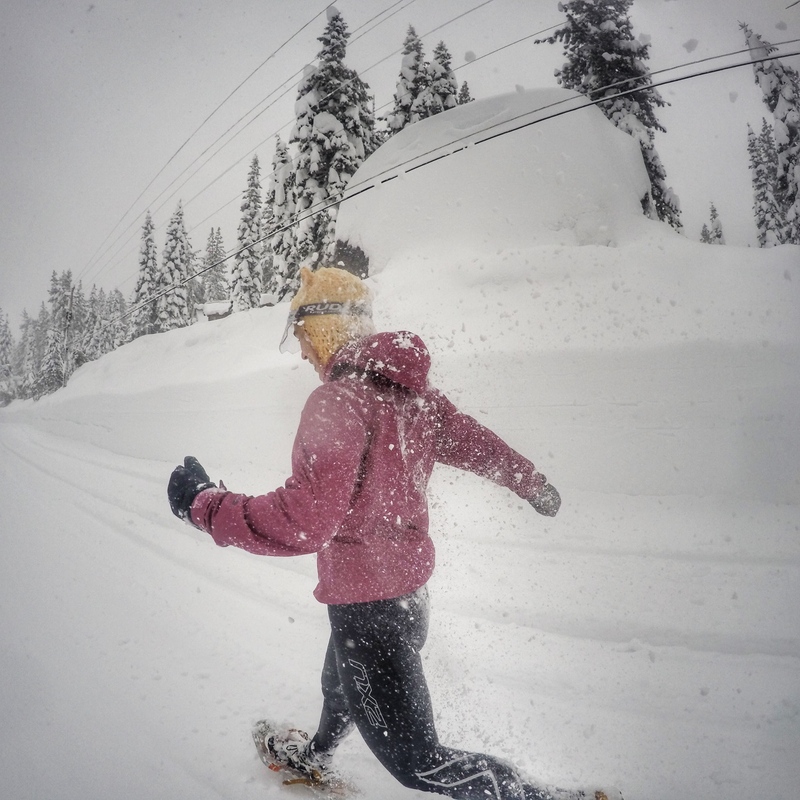 This is snowshoe running. I knew that I would only get warmer as we were at the start of the big climb. I kinda wanted the coat to keep dry, though. You see, with snowshoe running, your entire backside tends to get soaking wet from snow flying up from the snowshoe tails. In any case, someone was right behind me on the single user-packed snow track, so I wasn’t sure if I could take the time to ditch the coat. But I was just too warm – I knew the coat had to go. Soon we crossed a wide groomed trail – I pulled the coat off there and threw it in a tree well. Then I realized it was Dan on my tail. A dear friend, Dan paced me at IMTUF 100 last year. I was both comforted and motivated by his familiar face. He would ultimately pull away from me, as did Noah, the 10-year-old, who I barely beat last year. I tried to not let Dan or Noah widen the gap as the course just keeps going up and up, with brief flatter sections that seem like they would be runnable if only my heart wasn’t about to burst out of my 43-year-old chest. Maybe I would catch young Noah on the downhill like last year. And I knew that Dan was in the 10k race (two laps), but that knowledge just made it more frustrating that his sea-level lungs were performing so much better than mine! Alas, Noah’s downhilling has gotten speedy and his 10-year-old legs are longer than the 9-year-old version from last year. He bested me by 34 seconds, but I did hang onto the ladies’ win. Sharing the 5k podium with two lovely ladies from San Francisco. And I wouldn’t have it any other way! Spending the morning with my running community, friends old and new, tromping through the snowy forest, gasping for air, is essentially my idea of the perfect day. I had nothing but gratitude for Dan and Noah, each there to test themselves, but pushing me along as well. I also felt pride and appreciation for our club, Donner Party Mountain Runners, that it could make good on its mission to inform, inspire and connect mountain runners in Truckee-Tahoe. Many of the other volunteers raced as well. I felt extreme awe at Race Director Peter Fain, who is also my friend and Coach. Peter ran a total of 20k in the snow after being sick all week. He did one lap to finalize the course markings, then two laps to win second place in the 10k (behind first place by less than a minute), and then another lap to sweep and pickup flags. All these amazing people. Again I feel my heart may jump out of my chest, but this time with happiness. Aw, thanks, but the reward is all mine! Thanks, Heather! And thanks for coming to help ~ glad you got to meet some of the crew.